In this thrilling account of Judas Maccabeus and the Battle of Emmaus, A.L.O.E. paints a grand picture of the exploits of one of Judah's noblest heroes, during times of great peril. Under the tyranny of Antiochus Epiphanes and the Syrian empire, an honorable widow and her devoted young Zarah exhibit unwavering faith. This remarkable story of love and courage will reinforce the conviction of any believer. From Anonymous of Madras, Oregon on 2/21/2019 . I had never read any story based on the Maccabeus and this was done very well. It covers the battles but the main theme is what life was like during this time. This had A.L.O.E. style but with a twist that she doesn't usually have. From Nancy Woleslagle of Stockbridge, Georgia on 11/12/2014 . I like Hebrew Heroes because it has history in it, and that it has a lot of good moral truths in it. My first point is that it shows how we should act under persecution of our beliefs. Second it shows us how much we need to pray for help from God. Third it shows just how much we need a Savior. It is a really interesting book with lots of drama and action. From Nancy Woleslagle of Stockbridge, Georgia on 11/7/2014 . 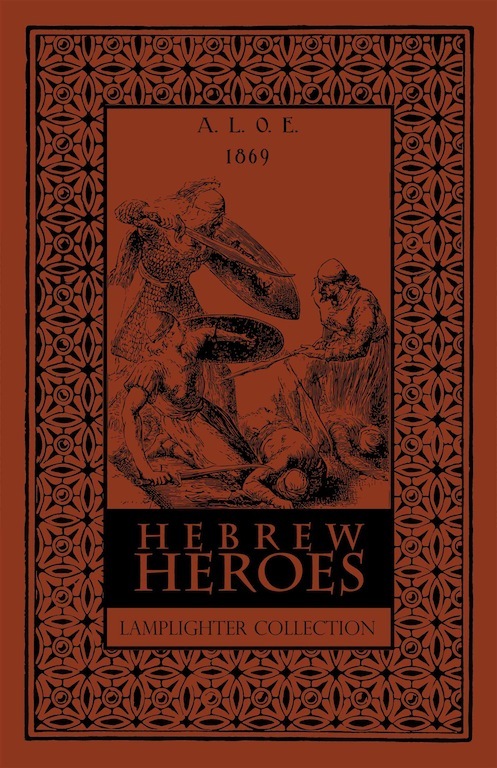 I like Hebrew Heroes because it has history and a lot of good moral truths in it. First it shows how we should act under persecution of our beliefs. Second it shows us how much we need to pray for help from God. Third it shows just how much we need a Savior. It is a really interesting book with lots of drama and action. From PAULINE STEPHENSON of TACOMA, Washington on 10/7/2014 . This is a fascinating and inspiring story using Biblical and Historical names to give a personalized view of the trials and struggles of the early Christian church.